The first classic of the new turf season in the UK is the 2000 Guineas at Newmarket on Saturday. 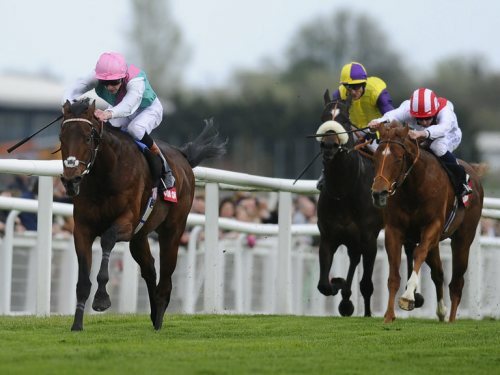 A field of 13 will go to post, headed by the impressive Greenham Stakes winner Kingman. John Gosden saddles the favourite here in Kingman, an unbeaten colt by Invincible Spirit. He won his maiden at Newmarket in fine style in June last year and followed up with an effortless win in the Group 3 Solario Stakes at Sandown. He suffered a minor setback which curtailed his two-year-old career but posted a brilliant victory over Night Of Thunder at Newbury last month. All three victories have been over seven furlongs but there seems little doubt that he will stay the extra furlong. Jockey James Doyle was able to ease down before the finish in the Greenham and appeared to have plenty in hand. Kingman is a strong favourite at 7-4 with Bet365 and it will take a smart performer to lower his colours. His main market rival is Aidan O’Brien’s Australia, a six-length winner of a Group 3 at Leopardstown in September. He slammed Dermot Weld’s highly-rated Free Eagle who was sent off at 2-5 that day. Australia owes his prominent position in the market largely to some glowing praise from his trainer who rates him among the best of the horses that he has trained. O’Brien also saddles the Coventry and Dewhurst Stakes winner War Command. The son of War Front was beaten only once in five starts as a juvenile. He was all the rage for the 2000 Guineas after his tremendous victory at Royal Ascot but could only manage third behind Sudirman next time out. He beat Cable Bay and Outstrip in the Dewhurst but the race did not look like the strongest renewal. Kingston Hill was a more impressive winner of the Racing Post Trophy and has a prominent position in the Epsom Derby betting. He stormed four and a half lengths clear of Johann Strauss at Doncaster on soft ground and this race is seen as a stepping stone to middle distance races. Toormore won the Craven Stakes in workmanlike fashion and also arrives here unbeaten. He was all out to beat Godolphin’s Outstrip at Goodwood last season, the runner-up going on to win at the Breeders’ Cup. 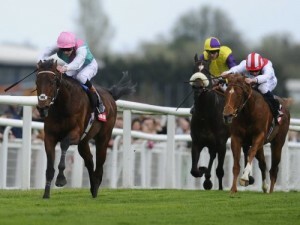 Stable companion Night Of Thunder looks to have little chance of reversing Newbury form with Kingman. Noozhoh Canarias was second in the Grand Criterium Stakes last season and won his seasonal debut with the minimum of fuss. He is yet to race over a mile but is bred to stay, being by Caradak out of a Singspiel mare. Freddie Head runs Charm Spirit who finished behind Noozhoh Canarias at Longchamp and only scraped home in the Prix Djebel last month.